David-Solar Deutschland GmbH’s construction system does not use energy-intensive construction materials such as steel and aluminium. Our partners use their extensive expertise to process very high-quality wood. Our wood is best-suited to enable the substructure of your system to bear the modules over a long time and safely whilst also withstanding all weathers. Our weather-resistant substructure is made of extremely durable wood. 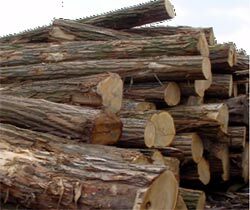 Our wood is: stable - strong - tough - elastic – fungus-resistant. The rot-resistant wood is both flexible and sturdy. It is more robust and durable than oak. Because it remains stable for use out of doors without being treated with chemical preservatives, it is more than ideal for our substructure. The properties of the high-quality woods we use make them an ideal alternative to tropical wood and their use is currently being promoted around the world. In many areas of Europe the woods we use, such as black locust or larch, are now among the most important trees in forestry. We use some of the most prized types of wood. The wood demonstrates its enormous stability even under repeated and continuous strain and can also fully withstand dynamic stress. 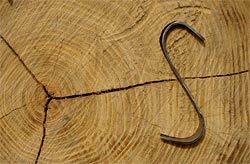 This type of wood is extremely hard and stable, very heavy and highly impermeable to fluids as the natural oils stored within protect it against the elements, making it the ideal material for our substructure. The woods we use are as robust as teak but do not count as tropical woods. They withstand any weather and are perfect for use outdoors. Neither sun nor rain, frost nor snow can harm these woods.